Sinterklaas! About Us - Sinterklaas! A crew of hard-working folk that dream and create together — some of us all year round — to make all the magic of SINTKERLAAS! come alive each year. The first edition of Sinterklaas in the Hudson Valley was 20-some odd years ago and it was called Dutch Christmas. Envisioned by artistic visionary and event creator Jeanne Fleming, the event brought the community together around the joy and hope that comes when we create light out of the darkness of the winter days. After a two-decade long hiatus, the celebration returned to the Rhinebeck on the first Saturday in December in 2008 with a full-day of festival activities culminating in the infamous Children's Starlight Parade and Pageant. 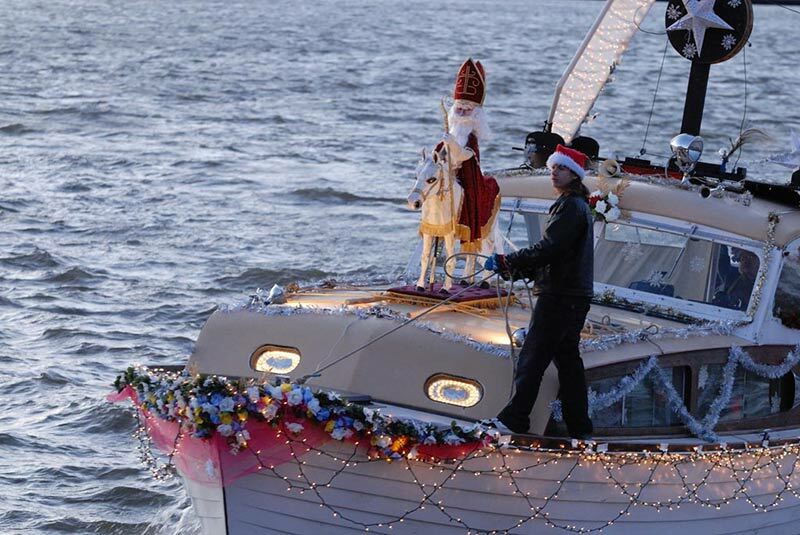 The preceding weekend witnessed Sinterklaas's arrival by boat in Rhinecliff. Two years later the arrival" was expanded to include the "Departure from Spain" (read the whole Sinterklaas story) with festivities in the Kingston Rondout. 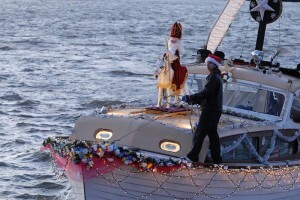 The popularity of the Arrival in Rhinecliff put undue stress on the infrastructure of the tiny village and so beginning in 2012 the Sinterklaas Celebration days have focused on the Kingston Departure Festival in the end of November and the Sinterklaas Festival Day in Rhinebeck in December.